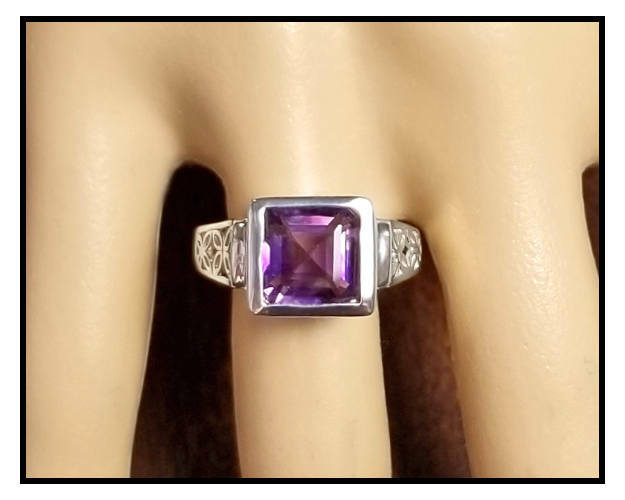 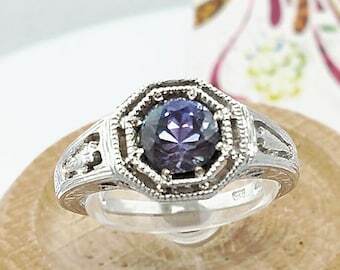 2.33 ct Amethyst Ring in Sterling Silver / Square Octagon Bezel Set Natural Purple Amethyst Gemstone Ring / De Luna Gems / Free Shipping! 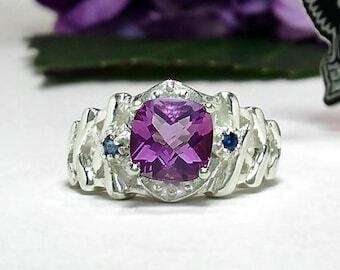 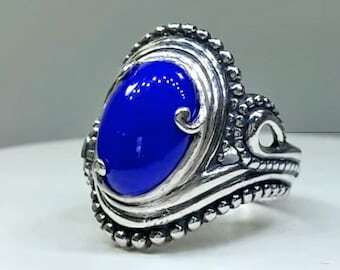 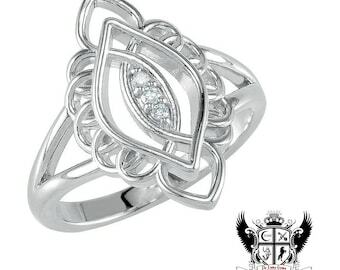 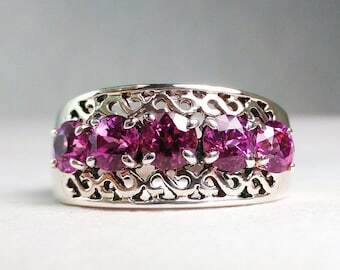 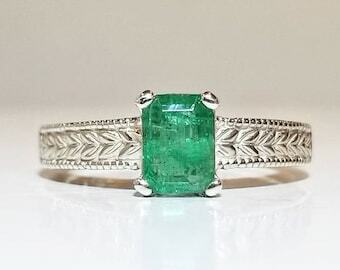 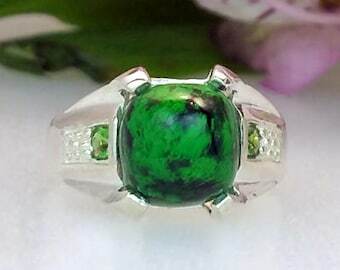 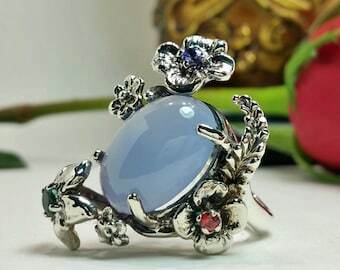 This lovely bezel-set statement ring in sterling silver holds a striking 2.33 ct Brazilian Amethyst. The gorgeous octagon square cut highlights the wondrous play of purple color in this natural, untreated gemstone. 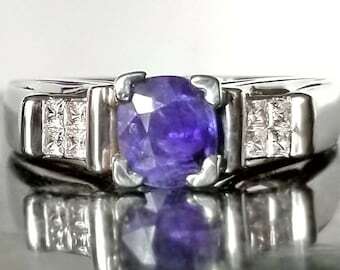 Amethyst is the February birthstone! 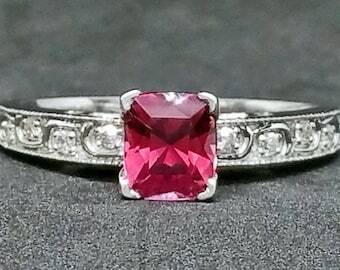 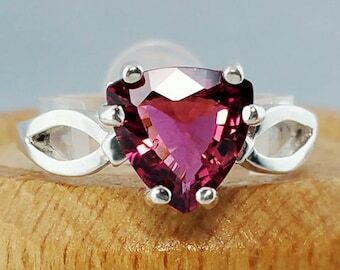 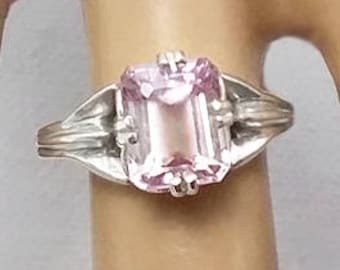 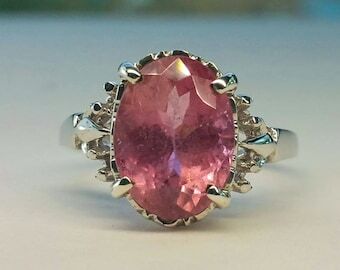 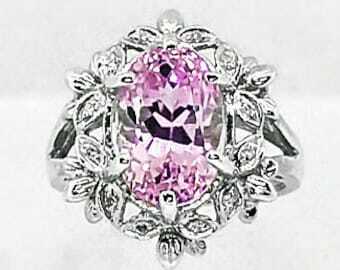 5.6 ct Pink Kunzite & Diamond Ring in Sterling Silver / Unique Natural Pink Gemstone Ring / De Luna Gems / Free Shipping!